Versatile uses for cheeks, lips and eyes. It is also suitable to use as bronzer or blushes. 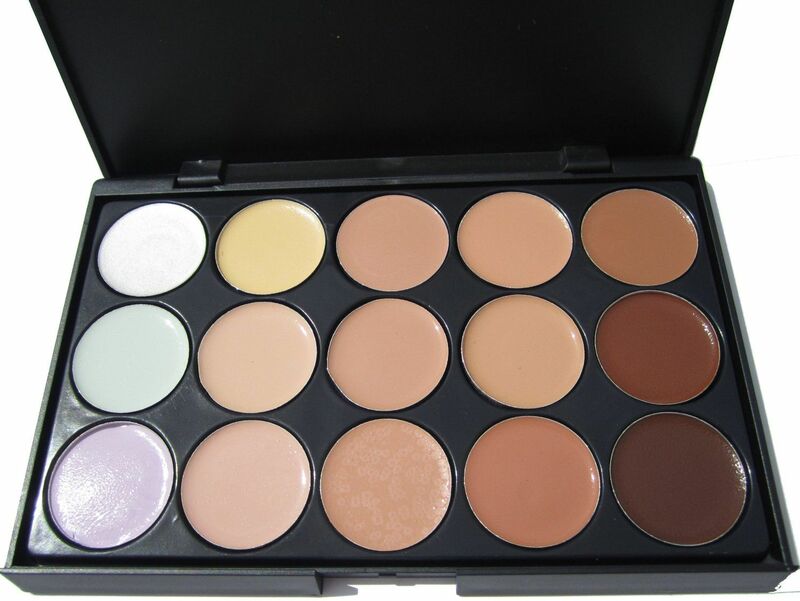 With Camouflage Concealer Pro you can achieve elegantly flawless look that last all day. These are cream concealers that offer terrific coverage. 15 cream concealers. Diameter per each color is 1 inch. These apply with a light feel and blend easily to cover imperfections of the skin. All 15 Concealer contain a white highlight shade; this is used on the inner and outer corner of the eye to impart a bright and wide awake appearance to tired eyes. White can also be used to lighten and custom blend a shade in order for it to match your skin tone, to create more than 10 000 chic looks. Perfect for professional use or daily use! !